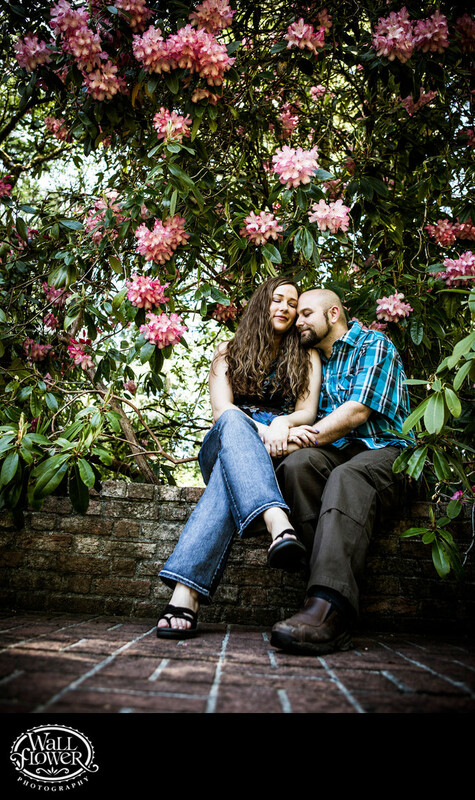 Although Lakewold Gardens, where this engagement portrait was shot, requires a fee for portrait photography, this couple was happy to pay it to have access to all the beautiful settings that the historic gardens offer. This low brick wall under a towering rhododendron bush in full bloom is a pretty good example. I think my quiet, snuggly pose fit the setting just right.